Seeking to fully align the school’s teaching and learning environment with best practices in neuro-education, Gunston has partnered with the Center for Transformative Teaching and Learning (CTTL) for a series of professional development workshops. “As a school, we’ve always honored each child’s unique intellectual strengths, but our formal neurodiversity training began more than a decade ago with a series of All Kinds of Minds workshops,” continued Lewis. “However, CTTL’s unique expertise in how to translate Mind-Brain Education research into a rigorous, college-preparatory academic environment is the reason we’ve decided to partner with them.” The Center for Transformative Teaching and Learning, founded at St. Andrew’s School in Potomac, Maryland, is an international leader in the field of Mind, Brain and Education Science research to allow teachers to maximize their effectiveness and students to achieve their highest potential. 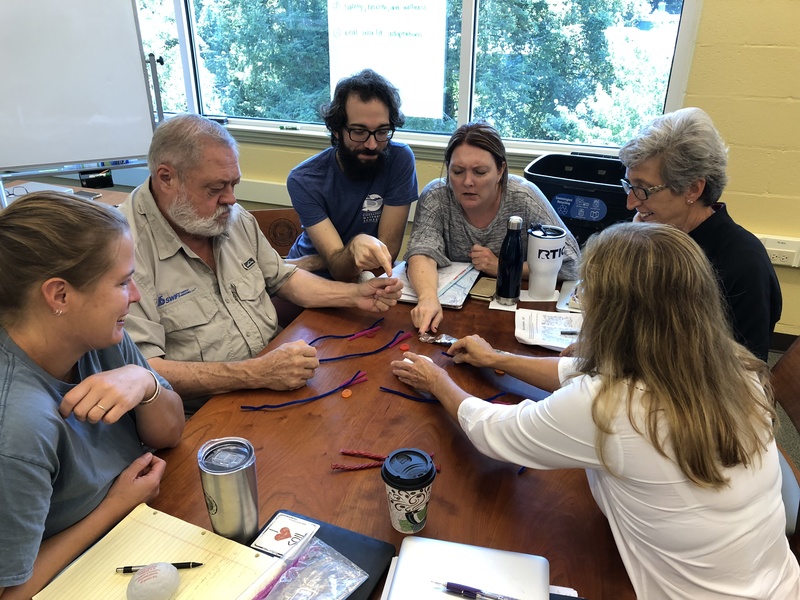 This past summer, a four-member delegation of Gunston’s faculty attended CTTL’s “Science of Teaching and School Leadership Academy”, and as a follow-up on August 30th, Glenn Whitman, CTTL’s Director and author of the bestselling book NeuroTeach, spent a full day leading a hands-on workshop with Gunston’s full faculty. Whitman will return for a series of follow-up workshops over a two year period.